As well as responding to fires and road traffic collisions and other emergencies, West Midlands Fire Service personnel spend a lot of their time trying to prevent these situations happening in the first place. Much of the prevention work takes place in the community, for example, schools, community centres and by visiting people at home. These home visits are called Safe and Well Visits, formerly known as Home Safety checks. 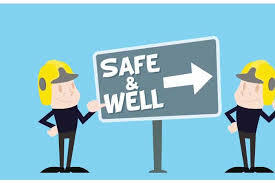 The Safe & Well visit involves WMFS personnel visiting your home to check there are no immediate fire hazards. They will give you advice about safety in the home and if appropriate fit smoke alarms. A handbook complements the visits, providing information on safety, health and well-being. A copy will be left for you, along with details of any actions or referrals made by the visiting fire crew. If you are a professional and would like to refer a client for a Safe and Well Visit please complete the attached referral form. All WMFS staff will be wearing uniform and carrying a photographic identification cards.